Download a free 8"x10" sample in compressed PDF format. (1mb) This is a lower quality file, for faster download purposes. This is the free download sample. 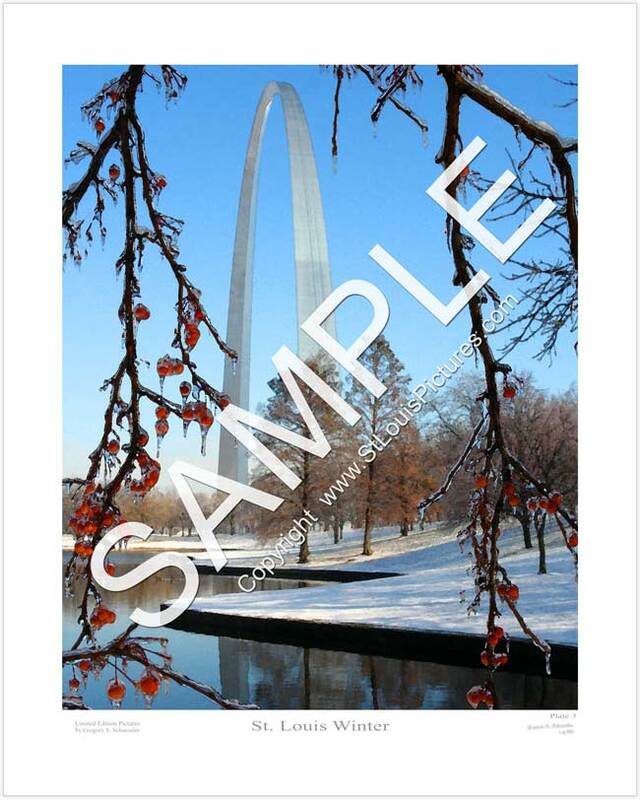 The sample picture below, St. Louis Winter - Plate 3, was taken underneath a berry tree next to one of the ponds in the national park after the first ice and snow storm in St. Louis for the 2006 winter season. This sample picture is also available as a Limited Edition Picture.